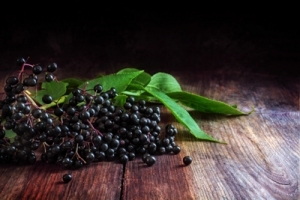 Elderberry syrup is generally safe but may cause loose stools or increased urination. It may interact with medications for autoimmune disease, cancer, and certain heart medications. Let cool for at least 20 minutes then strain into a bowl and add honey. Store in refrigerator and use within three months. There is some controversy over whether daily elderberry intake will prevent cold or flu but multiple studies show that it is helpful to take 1 Tablespoon, 4 times per day at first signs of cold or flu symptoms so I like to have it on hand. Also, it’s good to take a dose if you have been exposed to a sick person or plan to go on a plane. Wash your hands multiple times per day. Drink adequate water to keep mucous membranes healthy. Eat more garlic for its powerful antimicrobial activity. Raw garlic is especially effective and easy to eat in the form of fresh pesto or homemade hummus. Use a Neti Pot or sinus rinse each night along with salt water gargles before bed to remove bacteria and viral particles from the places where they most commonly enter the body. Eat high-zinc foods like beans and pumpkin seeds to support the function of your immune cells. Check your vitamin D level. Low vitamin D may increase your risk of colds and flu. Drink herbal tea with echinacea, licorice, elecampane, ginger and/or hyssop. Some of these herbs may interact with medications so check with your doctor if you are taking medications. Dr. Gwenn Rosenberg loves her work and enjoys the life-long learning that is part of being a doctor. She chose to study integrative medicine after noticing that, for herself and others, treatment with natural medicine often causes people to feel better than they felt before they became ill. Dr. Rosenberg always asks why a symptom is happening and works to address the root cause of symptoms so that her patients can have the energy and vitality to enjoy life more.